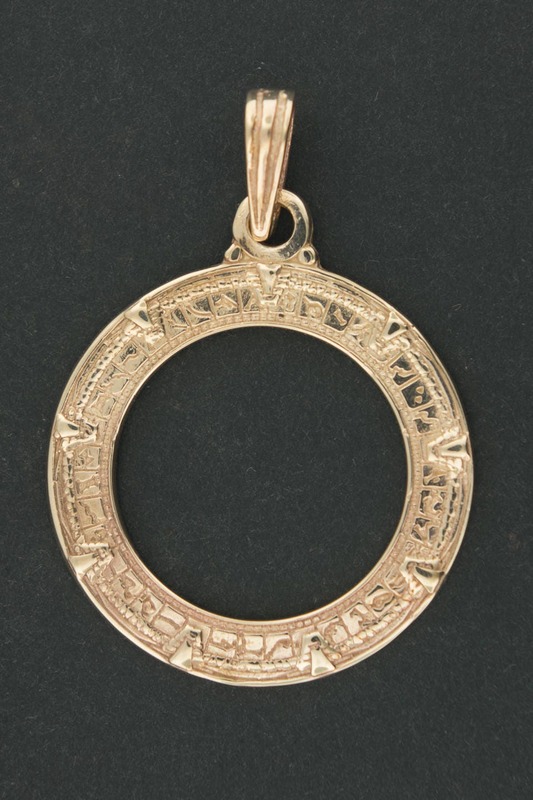 This is a handmade stargate pendant in antique bronze. It measures 1.25 inch wide and 1.75 inches long and is one sided. Yeah, I admit it, I'm a geek! 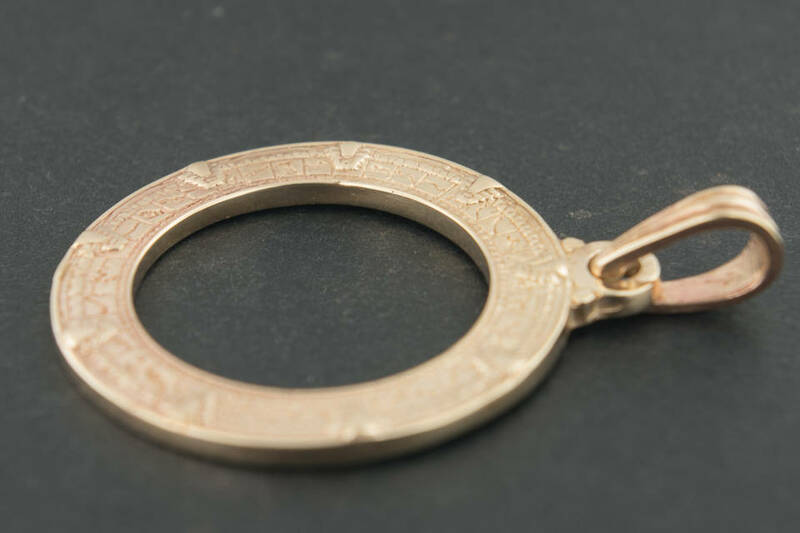 My best friend had a stargate keychain but wanted to be able to wear it as a pendant. The catch? it was in base metal! Solution; ask Stephenie to make one in silver for her! So after alot of work I made a mold and voila! I've made this one in antique bronze, 90% copper and 10% tin. It is also available in sterling silver and gold upon request. Sidenote is she got hers signed by the first SG1 team and permanently engraved over the autographs, including Michel Skanks smiley face! Excellent. I'm very pleased with this pendant. Fast shipping!! This is just so beautiful and it's the perfect size!! Worth every penny I paid!! Thank you! !